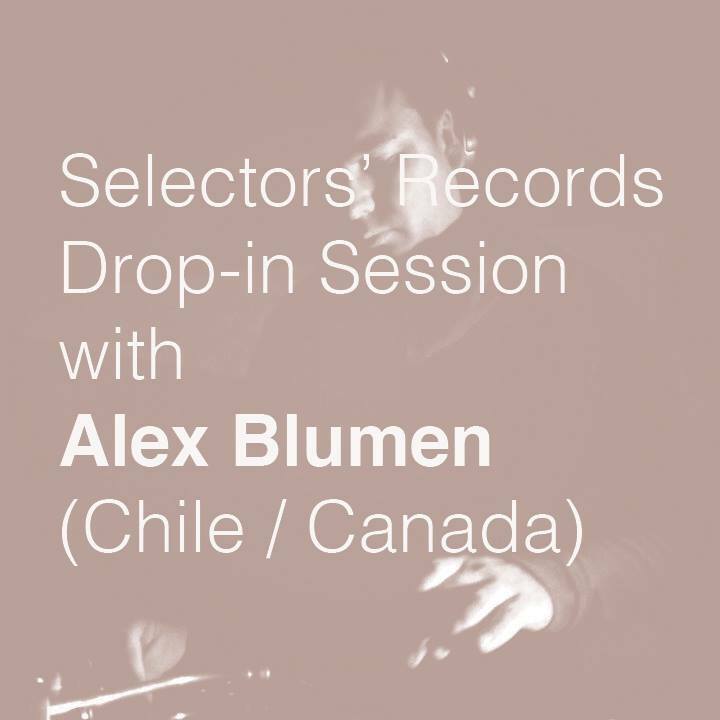 Please join us for a Drop-in daytime DJ session with Alex Blumen from Chile. Alex Blumen has been involved in electronic music since 1999 as part of Ghostman Project Collective (Chile) that has created instances for the development of the electronic music in the North of Chile giving rise to several parties, festivals and street performances with Techno, Minimal, Trance and Drum & Bass music. From 2004 to 2007, he as part of Ghostman Project promoted and encouraged the electronic music in the North of Chile which led him to take part as a DJ in the Chilean version of Love Parade 2005, 2006 and 2007. Alex Blumen has been linked to music since he was a child. Eventually, his acustic and sounding degrees have supported him in the production of techno, dub techno, and minimal techno music which is currently released on Patagonia Label (Chile), Paradoxal Records (France) and AudioTech (Germany). At the moment, he is responsible for Alto Vuelo podcast and Ultranatural Radioshow. His music seeks a connection between the essential and basic elements for human beings and nature environment from a deeper, darker and more abstract approach.